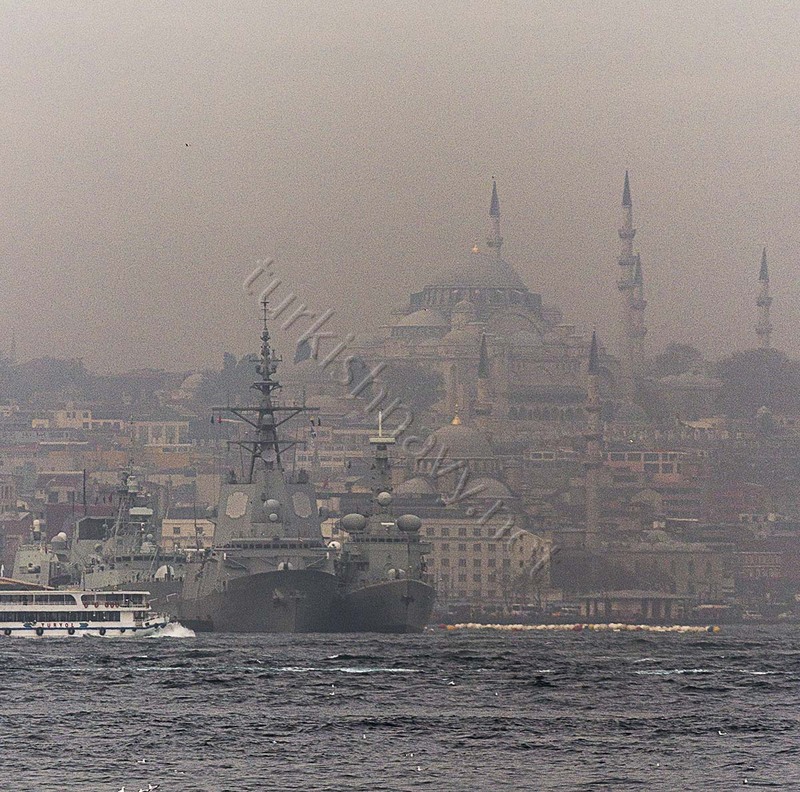 SNMG-1 is in Istanbul. ESPS Blaz De Lezo between the pier and NRP Francisco de Almeida. HMCS Winnipeg is right behind the Spanish ship. On 3 December 2015 Standing NATO Maritime Group One, consisting of the flag-ship F-334 NRP Francisco de Almeida, F-103 ESPS Blaz de Lezo and FFG-338 HMCS Winnipeg arrived for a port visit in Istanbul. The duration of this port visit was not announced. It is also not clear whether this visit was planed before the shooting down of the Russian Su-24M by a Turkish F-16C. It is worth to note that this visit is happening just after the latest NATO announcement to boost Turkish security. This is the second time in 2015 that SNMG-1 is visiting Istanbul. Click here and here to read on the previous visit.